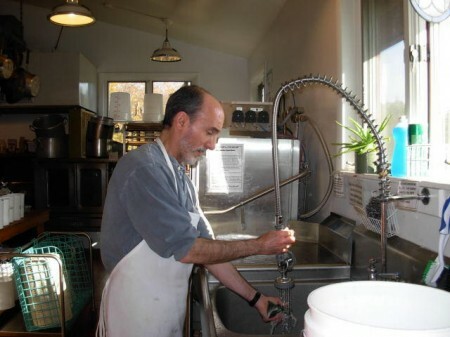 This post originally appeared at http://www.teleosis.org. While it may be true that an image or picture can be worth a thousand words, in our less quantitative approach to narrative healing, an image is that which the words bring to mind – the picture that the words conjure for a reader or listener – which we’ll say more about below. Imagery – the presence and function of images in a narrative is at the heart of the “show, don’t tell” directive for writers and it beckons us to write “Heart pounding, palms sweating, I slowly turned the doorknob…” as opposed to “I was really, really scared.” Imagery in writing allows us to feel in our bodies what we might otherwise only be able to understand with our minds. It takes our abstract notions of fear, joy, love, anger, confusion, rage, empathy, bliss, anxiety, doubt, contentment, certainty – any and all of the emotions or states of mind with which we may be familiar, and translates them into concrete, sensory language. From October 1 through November 19, 2015 I’m offering an online course through Teleosis Institute. Details are available here. The course outline is also available. Following my interview on Grief and Healing with Dr. Robert Wright and Christine Wright of Stress-Free Now, I’d like to share a bit about my earliest personal experience with the role of writing as a vehicle toward healing. My own “healing narrative,” in addition to writing, includes meditation, physical exercise, wandering in nature and conversation/relationship as practices that nurture healing. An earlier post and the interview are available here, and what’s below makes most sense in the context of the interview. My earliest memory of intentionally engaging writing as a healing practice (that language emerges through hindsight – at the time I was simply venting my frustration at a perceived injustice) occurred when a Vice-principal told me he would throw me out of school if I didn’t get my hair cut. This was 1970-’71, my junior year in a Catholic High School in New York. I wrote for several weeks in a notebook about how, in light of everything I did at the school (which I’ll spare you here), a focus on my hair was horribly unjust. Today I can embrace both the superficiality of the length-of-hair issue and the developmentally necessary self-expression it represented for the naively obedient-to-authority sixteen-year-old I was. I learned that expressing my feelings in writing allowed me to vent without fear of repercussion. It also, over time, gave me some distance from what and how I was feeling – what I now understand as the subject-to-object move that is necessary for development. The writing allowed me to look at what I had previously been looking through. I was, over time, gradually able to more clearly see myself, how I felt, the Vice-principal, and our respective roles in a rapidly changing culture. I know now that he was struggling to keep his head above a rising tide of longer hair and loosening ties for the boys and shorter skirts for the girls. 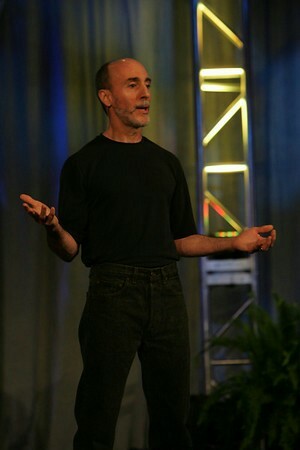 My next significant writing/healing experience began as I attempted to reconcile my athletic and academic experiences – more specifically, doing well academically and getting cut from basketball teams in high school and college while working hard at both, and then being moved by the experiences of the high school student-athletes I coached and taught for 13 years. My notes and scribblings evolved into a book manuscript, The Quality of Effort: Integrity in Sport and Life for Student-Athletes, Parents and Coaches, which was published in 1991, and then revised and re-released in 2013. When first engaged, the writing often intensifies difficult feelings – we become sadder, or more frustrated or more angry as we re-experience through the written word what needs to be healed. Over time however, writing that reflects and broadens perspectives, as opposed to writing that persistently and only revisits the details of the transgression, illness or injury, leads more often than not to a sense of increased well-being. I’ll bring this piece to a close with a bow to James W. Pennebaker, Ph.D., Chair of Psychology at the University of Texas, Austin, and the essential researcher on the role of writing and better health. Pennebaker, James, W. Opening Up: The Healing Power of Expressing Emotions. New York: Guilford, 1990/1997. Pennebaker, James, W. and John F. Evans. Expressive Writing: Words That Heal. Enumclaw, WA: Idyll Arbor, 2014. See Dr. Pennebaker’s site for more. How might Integral Coaching® and poetry, respectively and collaboratively, facilitate true transformation, you ask? Lindsay Kelkres and I explore these questions and others in her show, Art Actions: Featuring Newtown Art and Artists, which aired in June on CTV 21 in Connecticut. Thanks to Lindsay and the folks at CTV 21 for sharing the show with a larger audience now. See the bullets below the screen for some of the areas we explore. A deep bow of gratitude to Lindsay, who asked me wonderfully open-ended questions and allowed me to reflect, riff, respond and rant in an open-ended way, and who captures the essence of our conversation through her skillful editing – no small task. If you like where we go in this exchange, please like and comment on the show on Lindsay’s Facebook page, on YouTube, and on this page as well. 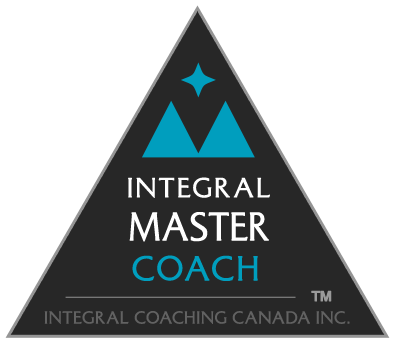 Integral Coaching® and Integral Master Coach™ are registered trade-marks in Canada owned by Integral Coaching Canada Inc. and licensed to Reggie Marra. How can Integral Coaching® and poetry, respectively, facilitate true transformation, you ask? Tune in to CTV 21 on June 11 and 18 at 7PM and June 14 and 21 at 2PM and see how (well) I respond to those questions. The one-hour show is part of the series, “Art Actions: Featuring Newtown Art and Artists,” produced by Lindsay Kelkres. The show is available to CTV 21 viewers in Bethlehem, Bridgewater, Brookfield, Kent, Monroe, New Fairfield, New Milford, Newtown, Roxbury, Sherman, Southbury, Trumbull, Washington and Woodbury, CT. Once the June 21 broadcast has aired, the interview will be available to a wider audience on YouTube. I will post it here. I’ve not seen the final version that will air, but Lindsay did great research prior to our interview, and asked wonderfully insightful questions during our two hours together. Stay tuned for more on this as it unfolds.